We always enjoy the islands of Hawaii. There is something restful about being in the middle of the Pacific Ocean surrounded by soft winds, volcanic mountains and exotic vegetation. Coming from the mainland one gets an immediate sense of peace somehow mingled with a rising sense of adventure. The entire beach-side, resort experience is restful and it is designed to be restful, but all the wild plants, their flowers, their scents, the open waters and the jagged mountains call out to be explored. Our favorite island is the Big Island, the Island of Hawaii proper. It is really two places. There is the familiar beach and surf and sand of the west coast, from Kalua and north up the Kohala Coast. 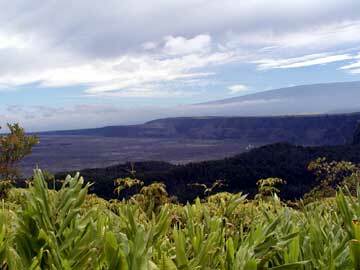 There are also the mountains, the volcanic highlands and the rainy valleys of the east side of the island. We have been to Maui and Kauai and enjoyed them greatly, but our true favorites remain the Big Island and Oahu, of all places. That's right, Oahu. For a tropical urban sprawl, Honolulu is a real city, and a charming one at that. Like Los Angeles, the wild country pops up unexpectedly, even in the heart of the city. The picture above was taken on the Big Island. There is a wild land waiting to be explored. Join us.